A federal constitutional lawsuit, filed today against Kentucky Educational Television in U.S. District Court for the Eastern District of Kentucky, stems from its new exclusionary policy regarding public debates, eliminating Libertarian participation. 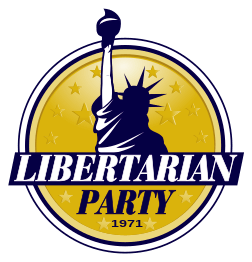 The plaintiffs in the case are Libertarian David Patterson’s campaign for U.S. Senate, the Libertarian Party of Kentucky, and the Libertarian National Committee.. Under the last version of the criteria, only Democrats and Republicans would have ever previously qualified to participate in KET’s debate. The ACLU has called on KET to use the original criteria, under which Grimes and McConnell were invited and under which Patterson qualifies for the debate. David Patterson is the Libertarian Party of Kentucky’s 2014 U.S. Senate Candidate. More information about David Patterson’s campaign can be found at david4senate.com. The national Libertarian Party works to dramatically reduce taxes and government spending, maximize personal freedoms, and stop unnecessary foreign interventions. Its website is LP.org. The Libertarian Party is the third largest party in Kentucky. Founded in 1973, LPKY promotes individual liberty though free markets and social tolerance. Its website is LPKY.org.